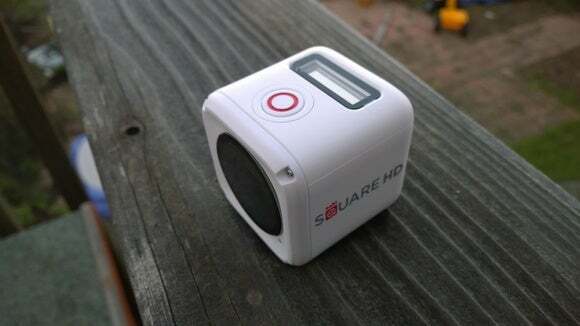 Fuhu, the makers of the nabi tablets for kids, on Friday expanded further into the action camera line with the latest version of the nabi Square HD, a $169 cube that will probably remind you of the first-generation GoPro Hero. Although it’s designed to be kid-resistant—waterproof to 30 feet, droppable 6 to 8 feet, and stored inside a plastic case that can be attached to a variety of mounts—the latest Square HD is built with an eye toward the future. Nabi’s first-generation Square HD, priced identically, was a bit more oblong and shot at resolutions up to 1080p. With the latest model, you can shoot in 4K resolutions (albeit at 15 frames per second) or drop the recording speed to 120 fps at 720p resolutions, for slo-mo playback. But the lower price point does come with the same catch as the first-gen Square HD's: there’s no viewscreen or display on the camera. With this model, Fuhu gets around this via Wi-Fi Direct, which can establish a real-time streaming connection to an Android or iOS phone or tablet, or Fuhu nabi tablet. Kids will then be able to see what they shoot, as it happens. “We’re going after the kids’ first moments, through the eyes of the child,” said Lisa Lee, senior vice president of marketing at Fuhu, in an interview. Fuhu begins shipping the Square HD next week, together with a small number of mounts that will cost around $20. Why this matters: Action cameras like the GoPro series worry less about framing the shot than about simply keeping up with extreme sports and conditions—and fans of the first-gen Square HD seem to love its video capabilities. Keep in mind, though, that this new model allows your kids to use your expensive smartphone as a viewfinder. Didn't you buy the kids a rugged camera to avoid this very scenario? Like the Fuhu nabi BigTab we tried last year, the Square HD may not be totally kidproof, but it does a good job of trying to convince you that it is. Don’t worry about dropping it, especially when it’s stored within its rugged plastic housing. 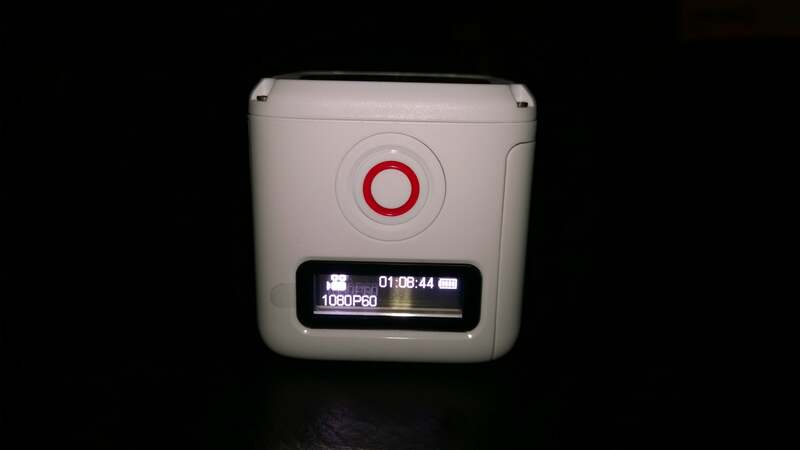 It’s a perfect cube measuring 1.73 inches across and weighing a bit more than 1.1 pounds. A basic display indicates the camera's mode. The power and shutter buttons also handle navigation. A lithium-ion battery (rated at two hours of continual use) charges off a USB 2.0 connection, all housed internally alongside a microSD (up to 32 GB) card slot. And that’s all tucked behind a door that closes securely enough to rate the camera waterproof up to 10 meters. The fixed-focus camera is nothing to write home about, with basic white balance settings and a tendency to blur the image when taking still shots. But video shot with the f2.0 fixed-focus camera was very good: smooth and fairly well exposed, and my kids seemed perfectly happy with the quality. If you’d like, you can even shoot time-lapse video, too. But the lack of a rear-mounted display was a surprising deal-breaker for my six-year-old, who didn’t even want to try it out if he couldn’t see what he was taking a picture of. Which, after I thought about it, made some sense. While you may buy an action camera specifically to lash to your mountain bike, your child may have a different concept of what a “camera” entails. A smartphone-toting teen already has a camera handy. But my younger kids—who loved the other Fuhu tablets, by the way—seem to prefer a camera that provides some real-time feedback. And “checking” a shot via another device was a bit awkward. My six-year-old preferred using an old digital point-and-shoot we picked up at a garage sale to shoot his Angry Birds pantomimes. 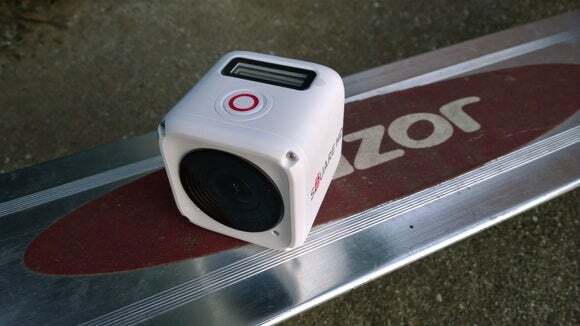 Modern action cameras that include a rear-mounted display, however, cost hundreds of dollars more. And while I quite liked the Square HD—and I think many parents will—it might be best to discreetly ask your child what they want out of a camera before you consider buying one.